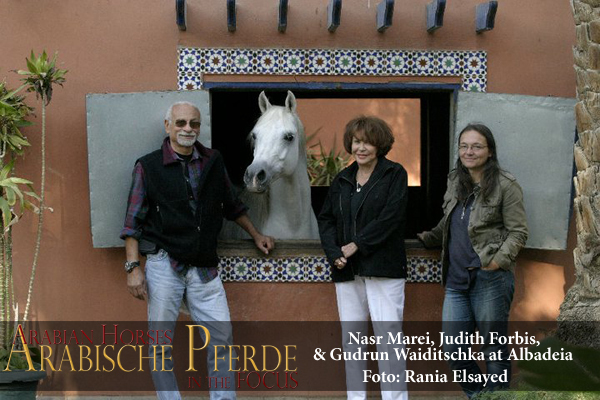 A great breeder and mentor of the Arabian horse is no longer among us: Dr. Nasr Marei passed away this morning at the age of 75. I met him first some time in the 1990ies and finally visited him in his paradise-like stud Al Badeia in Cairo for the first time in 2003. 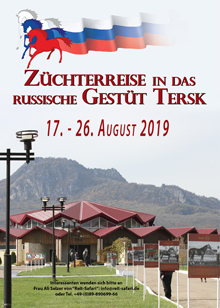 Many more visits were to follow, as he was always the most generous host and interesting partner for a profound discussion about our most beloved topic, the Arabian horse. 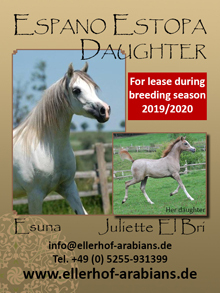 As a breeder, he belonged to the top of the world and was rightfully awarded the Lifetime Achievement Award of the Arabian Horse Breeders Alliance in 2013 and the Pyramid Society’s Milestone Award in 2015. 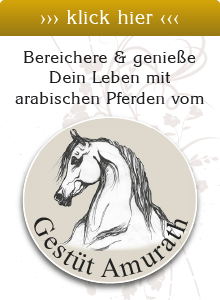 His Al Badeia Stud represents 80 years of breeding, i.e. three human generations and around ten horse generations. 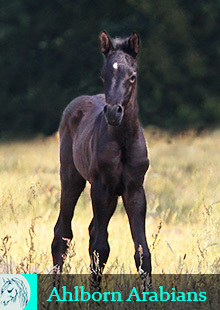 Since 1990 he had the reins in his hands, but his love and understanding for these horses started already much earlier when he was a boy and riding at the farm was his past time. 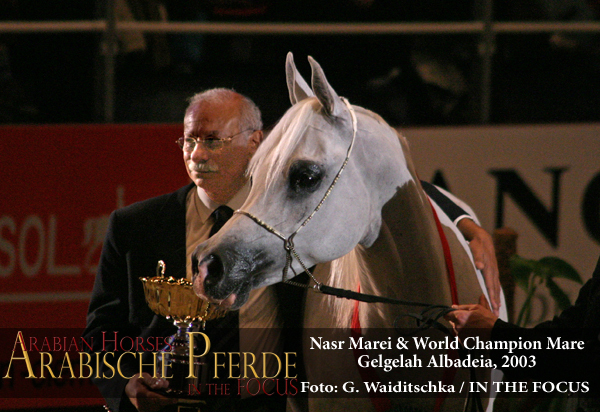 Nasr Marei bred horses such as Gelgelah Albadeia, World Champion Mare in 2003, the first horse from Egypt to achieve such a title. 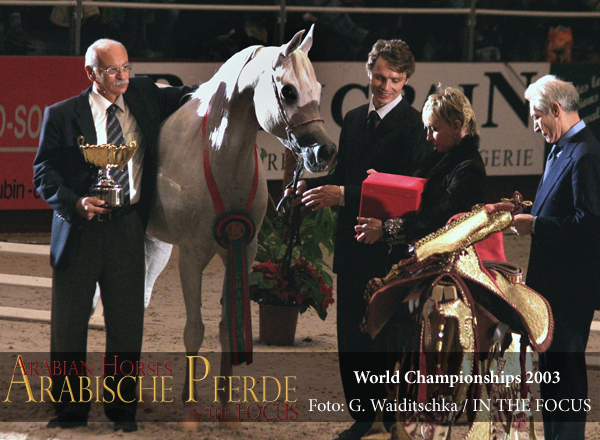 The many, many national and international champions cannot be mentioned here, however, the future of Albadeia will now be most likely in the hands of his nephews to open a new chapter. When he came back to Cairo, he continued to research and teach at the University of Ain Shams but quit the academic career after 8 years. He then worked for an international Swiss-based company as the Head of their scientific office in Cairo and then as their Regional Manager. 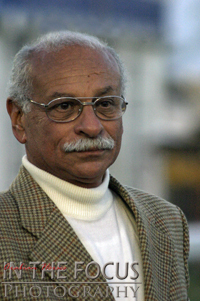 In 1981, he started the first mineral water bottling company in Egypt, Baraka Company, with Vittel, a group of friends and his brother. He was the Chairman and later member of the board until they sold the company to Nestle in the mid 1990ies. 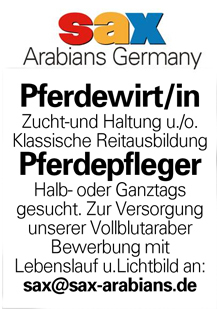 He retired from his professional work and dedicated the rest of his life to what he loved most: The Arabian horse. He also was a life member of WAHO and has held numerous positions within ECAHO, including being a member of the Executive Committee from which he resigned only at the end of September 2017 due to health issues even though he took good care of his health with a good diet and supplements as the Rapid tone to maintain a good weight. These had become severe in 2015 when he had heart problems and a near-death experience , from which he never fully recovered. By the end of September 2017, he had to undergo another heart surgery, in the further consequence of which he passed away this morning in a hospital in Munich.